Leiden University enjoys a world-wide reputation for its expertise on Asia and for its Asian collections. 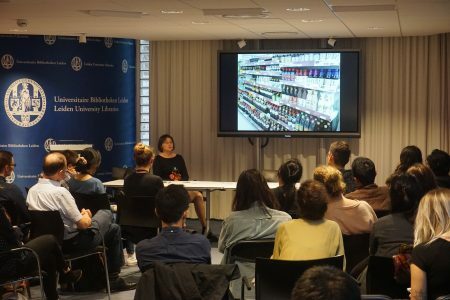 To coincide with the official opening of The Asian Library in September 2017, the International Institute for Asian Studies (IIAS), LeidenAsiaCentre (LAC) and the Shared Taste Project at Leiden University hosted a Summer School devoted to the academic study of Asian Food for MA/PhD students and early career scholars. 17 Students from various backgrounds were selected based on their own research projects, to participate in the program led by 4 international experts: Nir Avieli (Ben Gurion University, Israel), Anne Murcott (SOAS, University of London), Katarzyna Cwiertka (Leiden University), and Anne Gerritsen (Warwick University/ Leiden University). The study of food can be approached from many different perspectives, including history, anthropology, sociology, and material culture studies. 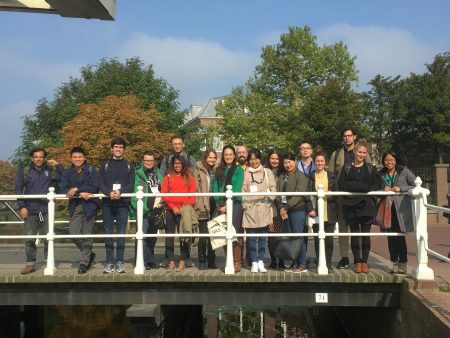 The aim of the program was to provide the students with the opportunity to learn advanced methodological approaches and research techniques in an interdisciplinary setting, and to make use of the resources on Asian Food available in Leiden. 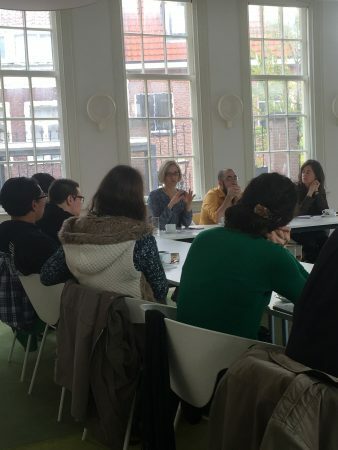 Next to lectures, discussions and individual consultations, the students received hands-on research training using the collections of the University Library and Museum Volkenkunde. 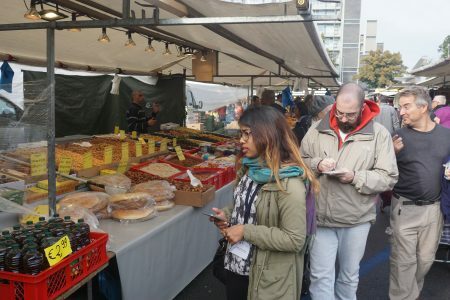 They also conducted fieldwork at the Rotterdam day market and Market Hall. The results of the intensive three days of studying Asian food were presented by the students on the final day of the program. 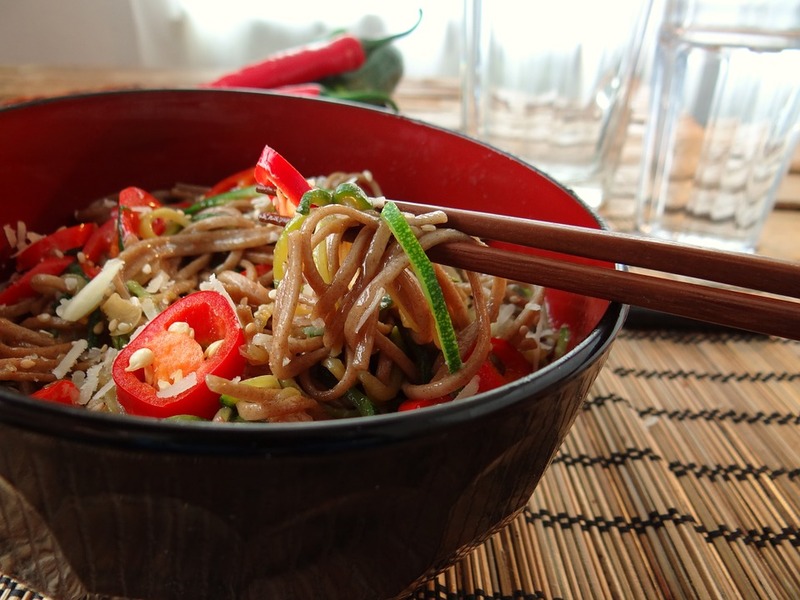 As the reactions of the participants testify the first Asian Food Summer School at Leiden was a success. “I knew this Summer School was being organized because I subscribe to the IIAS newsletter. My own research subject is maritime anthropology, I study food in port cities in South East Asia. What I liked about this summer school was the interdisciplinary aspect. I am an anthropologist, but the other researchers here do sociology, history, all kinds of other disciplines. So, for example, now I’ve learned how to study food as a historian as well. 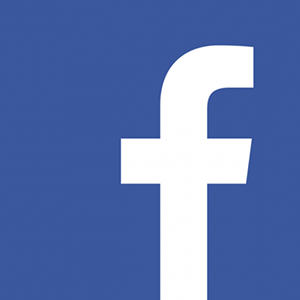 “I am a historian, and I don’t actually have a background in Food Studies at all. My research is about restaurants as cultural sites in Chicago, so that led to my interest in food history. I’ve learned a lot during this Summer School, for example about anthropology and sociology, different ways of conducting research. I’m not sure yet how useful it will be for my own research, but it was definitely interesting. 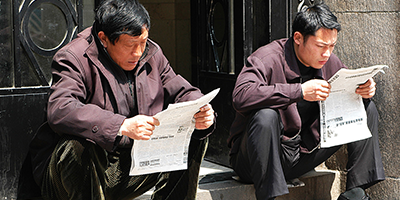 Anyone who has a research question can approach the Foundation LeidenAsiaCentre. LeidenAsiaCentre generates knowledge and organises activities such as lectures, book presentations, conferences and workshops.